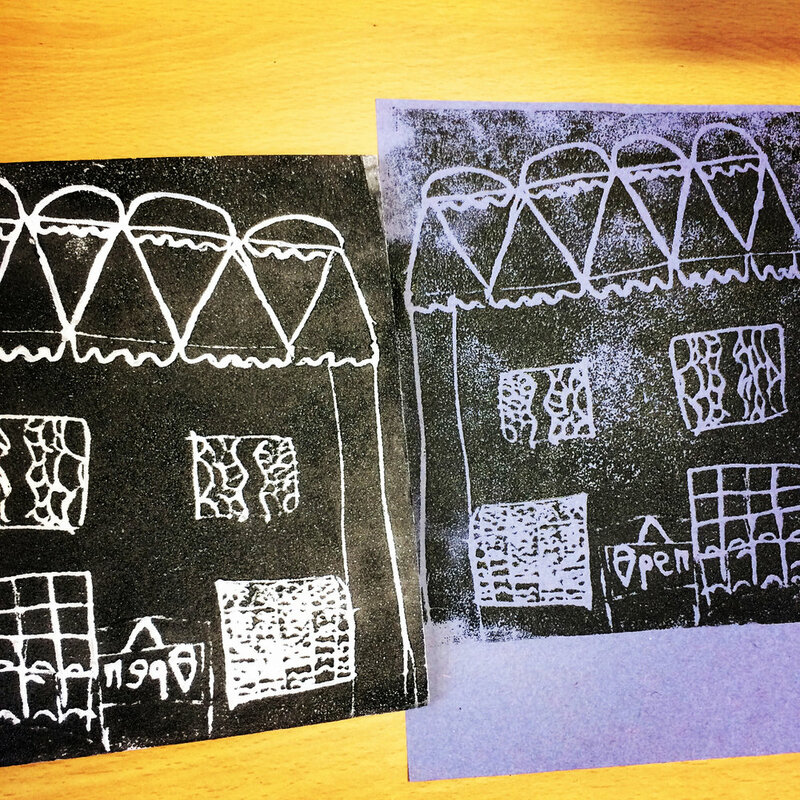 A brilliant afternoon yesterday spent making polyprints of houses with year 4 pupils at Westbury CofE Academy. Using my new book 'home' as a starting point, we made prints of houses, dream homes (including castles!) and shops. So much fun, and really impressive results from classes 4BC and 4HN. Many thanks to the school for inviting me along. The prints will be on display at the school as part of the BS9 Arts Trail this coming weekend. . . .